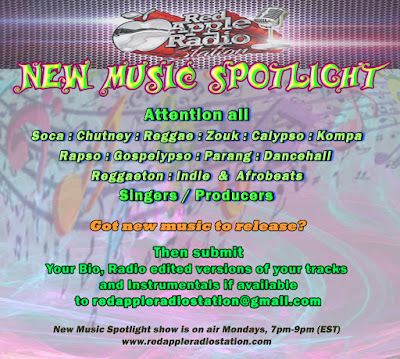 Our New Music Spotlight show is on air Mondays, 7pm - 9pm (EST), with 'new music' being featured between 7pm - 8:30pm (EST). The final half hour is a Dj burn out between the two hosts - DJ SCAMPI and DJ PINK ASSASSIN. This show is geared towards giving airplay to newly released tunes in the genres listed and providing an opportunity to upcoming artistes in particular to have their music reach a wide audience. The 2 hour show is an interactive one, with our listeners, via our FB 'live' and our Chat Room here on the site, giving their feedback on the music played during the show, indicating why they may like it or not like it. 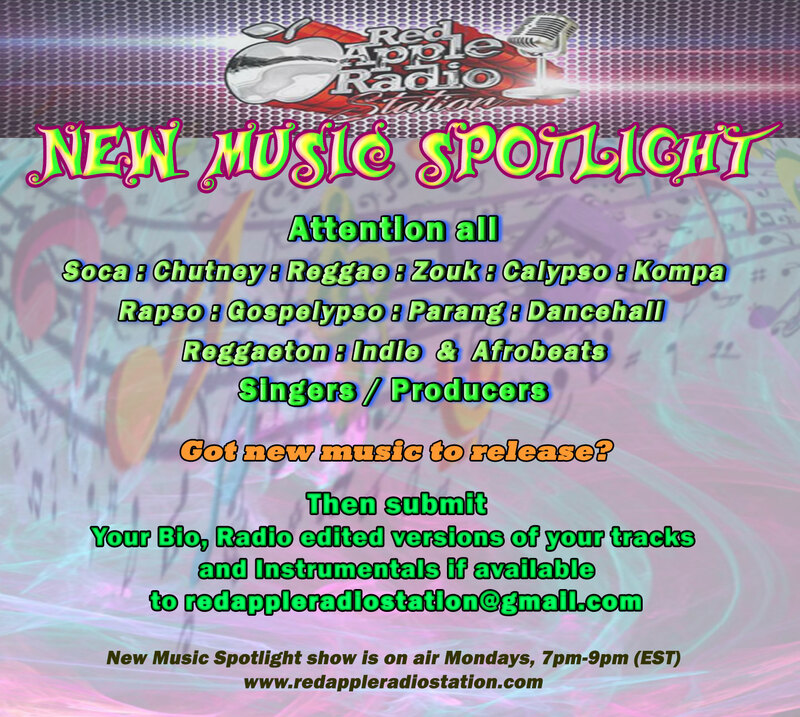 Artistes submitting new music also have the opportunity to be interviewed during the show. 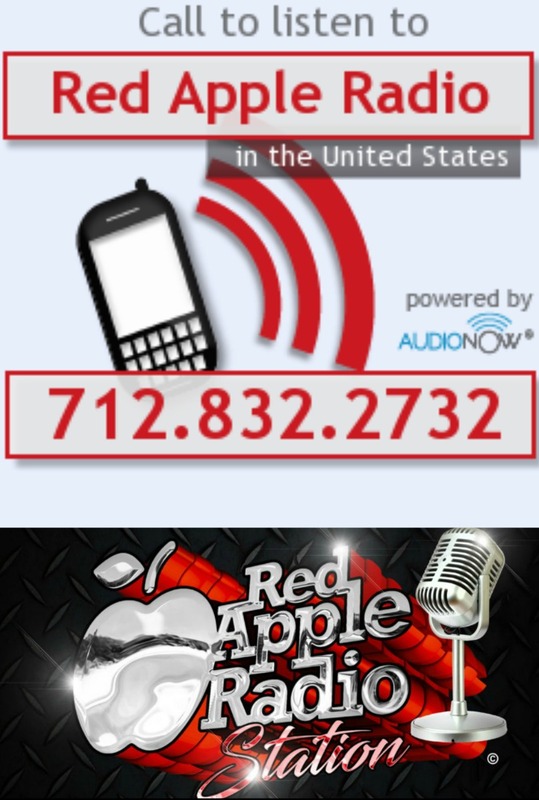 Red Apple Radio Station 2017. Powered by Blogger.